I know Pang is good but the other games I played on it were awful!!! Pang, Robocop II, Navy seals, Burning Rubber+Batman reviewing 'well' at the time. Also there was a rumour Ocean had designed Wizball II (Whiz Kid) for the GX4000 initally.No idea how true that was. Fire+Forget II which was superb on MS got hammered at review on GX4000. 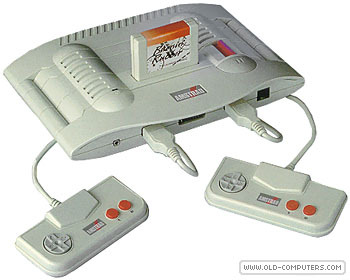 For an 8 Bit console hardware was'nt that bad, was it? compared to say the C64GS, just far too little, too late?. I have played GX4000 Switchblade, it wasn't very good . . . . . . . I look at buying one every now and then, maybe i will once i see a bargain i can not turn down. Poor GX4k.....not a well loved console. Makes me not feel too bad about all the Jaguar bashing. If its similar to the CPC464 version I'd go for Barbarian II, loved that game on my old Amstrad. The hardware seems to have enough potential to do some good classic retro stuff on it. Shame it never got anywhere. I have a decent collection for the console, but yeah, its not the best.